The joyful illustrations and lullaby-quality cadence of the book lingered in my mind. I hoped to someday stumble upon it again. When I took my boys to the library, there it was! 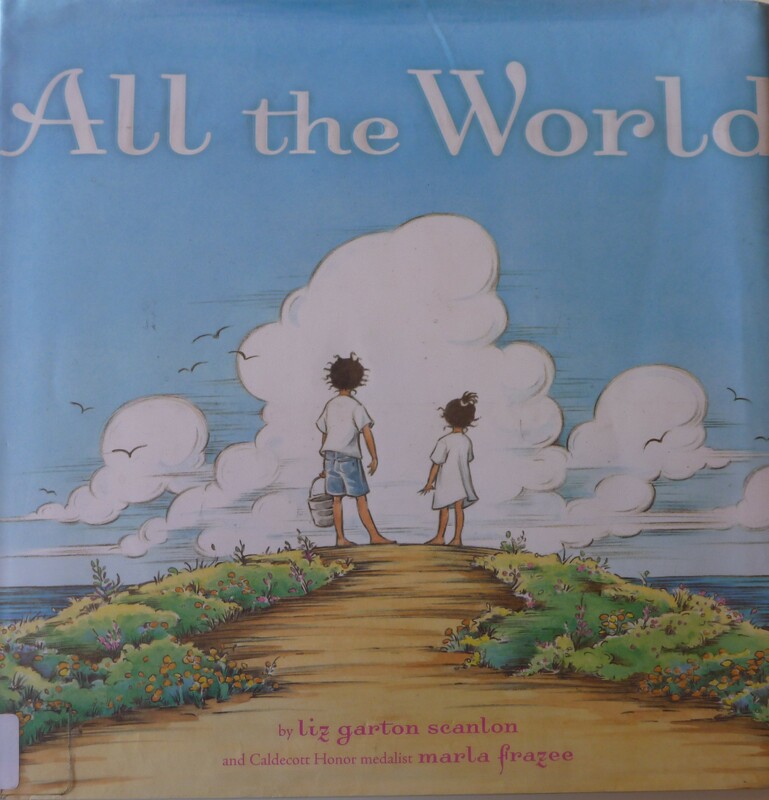 Displayed on top of a shelf in the picture book section were not one, but two copies of All the World by Liz Garton Scanlon. Sometimes God whispers wonder through books. I was in awe, thanking God as I carried the treasure toward the checkout desk. My surprise was ever so slightly mitigated by the fact that I had loosely held the possibility of just such a literary meeting . . . because I’ve experienced book miracles before! Books find me. Do they find you? Have you ever felt that God has placed a book in your hands . . . either one you’ve been wishing for or one you’ve never heard of but need to read? The gift of this book made me feel my heavenly Father’s arms wrapped around me. Through the way it came to me and in the words of the book itself, I could hear His love song. May you listen for it upon your next visit to the library! This entry was posted in Children's Book Moments, Treasured Books and tagged All the World by Liz Garton Scanlon, God's love song, When books find you. Bookmark the permalink.